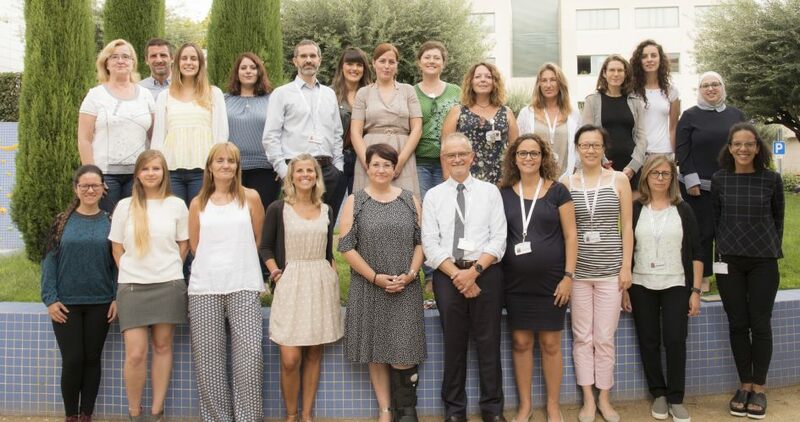 If you reside outside of Spain, when you arrive at our hospital, our International Services team will accompany you to assist you in anything that you may need. We have a paediatric unit dedicated exclusively to performing all types of haematopoietic stem cell transplants. We use innovative therapies on more than 300 patients per year across all rare childhood cancers and blood diseases. Every year we successfully perform 600 operations with one of the lowest mortality rates in Europe. We explain the treatment options for your health problem and help you to choose the most appropriate specialist for your consultation. Your medical case file is studied by our specialists, or by a multidisciplinary team if necessary. We prepare a detailed personalised treatment plan and estimated quote (in Spanish, English, French, Russian or Arabic). In accordance with current Spanish legislation, we help to arrange visas where necessary by writing to the Spanish consulate in your country. We offer airport transfers, hotel or apartment bookings, interpreters and other services at the request of the family, through our partner companies. Our International Services team will personally greet you on your arrival at the Hospital. A contact person will be available throughout the process to resolve any doubts in your own language. We draw up a care plan for the patient and their family from the first to the last day in the hospital, including not just healthcare but also other aspects such as transfers and accommodation. Interpreting service for inpatients when the family speaks a language other than English or Spanish, not included in the medical care plan. All our rooms are private, making your hospital stay as comfortable as possible. You can be with your child for the majority of the care process: during anaesthesia, before surgery and in the ICU (accessible 24/7). Our rooms are prepared so that you can care for your newborn in your own room. We provide you with a copy of all exams and the medical report translated into English, Spanish or Catalan. We advise you on the pharmacological treatments recommended by the medical team to help you find them in your country. We make sure your return journey to your country when the treatment is complete is as comfortable and easy as possible. Once in your home country, we offer you support to arrange consultations whenever you need them, as well as helping you get back into your daily routine. We monitor the patient's progress together with their doctor in their home country to help their recovery run smoothly. Our success rates place us among the best in the world in high-complexity diseases in children and pregnant women. We are a group of more than 600 professionals of all pediatric specialties trained at the world's best hospitals. Paediatric facilities, private rooms and accompaniment to reduce the impact of disease and treatment on children and their families. Thanks to immunotherapy, we can see how our child grows. There were difficult moments during the bone marrow transplantation, but medical crew helped us to get over it. The surgeons restored movement in my son's left hand, something that would not have been possible in Belarus. My daughter suffered 60 crises in one day. Since neurosurgery, epilepsy is no longer a problem. I am in the best hands. At SJD we have been well cared for by nurses and doctors. What should I do to arrange a visit at SJD Barcelona Children's Hospital? Before arranging a visit at SJD Barcelona Children's Hospital, our medical team must assess the case. To this aim, you must specify the patient's details on the form and enclose the current medical report and complementary tests (imaging, laboratory, etc.). You may also send us any audiovisual document (photo or video) that shows the patient's current condition. You may send us reports and tests in the following languages: English, Spanish or Catalan. It is very important that the reports and test results be recent to allow our specialists to assess each case appropriately. Following evaluation by our medical team, we will send you a detailed treatment proposal and an economic assessment. It may take 5 to 7 days to prepare a personalised treatment proposal. We do not send standard proposals. Our specialists study each case to prepare a detailed treatment proposal. If necessary, a multidisciplinary team assesses the patient's situation. Your case will be examined by international experts in each medical or surgical specialty. Our specialists in different paediatric and obstetric disciplines provide multidisciplinary guidance of each patient's case. We already have a diagnosis in our country. Is it necessary to repeat the tests in Spain? At SJD Barcelona Children's Hospital, we try to minimise unnecessary tests and tests that may impact the patient's state of health. However, depending on the quality and resolution of the tests provided, our specialists may find it necessary to repeat tests with more precise and reliable technology. Tests will only be performed under the instruction of medical professionals at SJD Barcelona Children's Hospital. Which languages do the healthcare professionals speak and how will our consultations be managed? The language of communication with the medical team may be Spanish or English. The Hospital may provide an official Russian, French or Arabic interpreter who will accompany the family during hospital visits. At the discretion of the healthcare professional, the Hospital may request the presence of an interpreter to ensure that the family understands the medical team's explanation of the patient's diagnosis and treatment. Interpreting services are not included in the medical care budget. How and when is payment made for diagnosis and treatment? Must payment be made in advance? While 100% of the medical care budget must be paid in advance, if, at the time of discharge, 100% of the budget has not been used up, the remaining deposit will be returned to the family. It is recommended that payment be made by bank transfer. Payment in cash is limited to €15,000, according to Spanish regulations. Is hospitalisation required to make a diagnosis? It is not necessary. At SJD Barcelona Children's Hospital, we try to minimise days of admission and promote outpatient treatment. This is to prevent infections in patients with a weakened immune system and empower patients to go through the process with their families. What documentation is necessary to admit a patient? Original passport of patient's father, mother or legal guardian. Postal address in country of origin. Contact details (telephone and email address). With which insurance companies/mutual insurance companies does the hospital work? SJD Barcelona Children's Hospital has agreements with various insurance companies. Insurance companies may arrange all existing services with the hospital or only authorise specific ones. Carefully review the terms of your health insurance policy and check with your insurance company about your coverage to confirm that the care that you request (visit, treatment, emergencies, etc.) is covered by your insurer at SJD Barcelona Children's Hospital. If you need to request more information, contact your insurance company or write to us. We have come to stay for a few weeks. Hotel accommodation is going to be very expensive for us. Do we have any other options? In Barcelona there is a wide range of apartments and hostels available. Our team can recommend you accommodation close to the Hospital and suited to your needs. You should be aware that the cost of accommodation may vary substantially depending on the season. It's the capital of a region with one of the best healthcare systems in the world and some of the best success rates in complex procedures. Catalonia is one of the leading European regions in biomedicine and contributes 3.15% of European scientific production. Its airport is connected to 193 cities in 5 continents. More than 20,000 patients from all over the world visit Barcelona each year. International Patient crew, SJD Barcelona Children's Hospital.